After months of violence and widespread protests along the Israeli-Gaza border fence, Israeli is quickly ramping up its military presence with a show of force a day after launching deadly airstrikes on Gaza in response to what officials say were two rockets fired from the strip earlier this week. 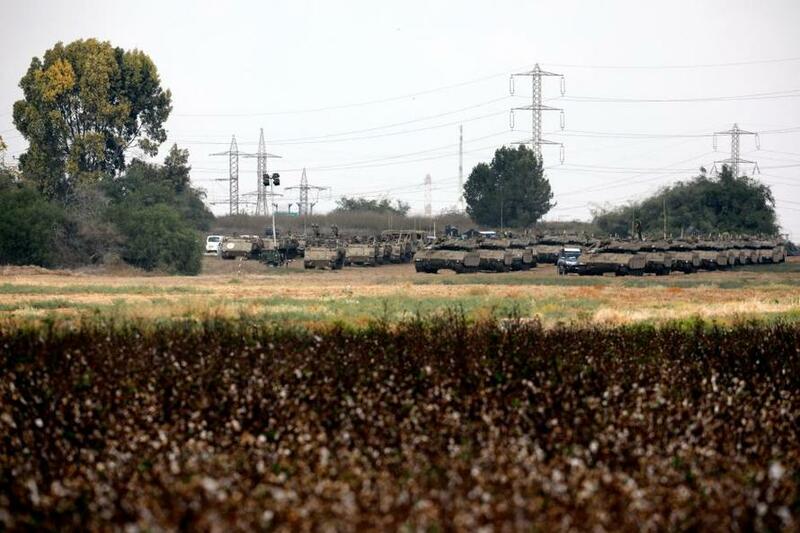 Reuters has reported some 60 Israeli tanks and armored personnel carriers now stationed at a deployment area along the border as of Thursday, which is the largest reported mustering of forces since the 2014 war between Israel and Hamas. Special UN envoy for the Middle East, Nickolay Mladenov, told the UN Security Council on Thursday that "we remain on the brink of another potentially devastating conflict, a conflict that nobody claims to want, but a conflict that needs much more than just words to prevent". One of the rockets launched Wednesday reportedly landed in the sea, however, Israeli officials said it came dangerously close to densely populated Tel Aviv. Hamas, for its part, denied responsibility for the rocket launches and said it would investigate. Meanwhile Israel retaliated in Wednesday airstrikes on Gaza, which reportedly killed at least one Palestinian while injuring several more. Israeli Prime Minister Benjamin Netanyahu further convened his security cabinet on the same day of the Gaza rocket launches and promised to take "very strong action" if such attacks continued. Israel largest armor deployment since the 2014 war was documented by Reuters this week. On Tuesday Defense Minister Avigdor Lieberman was quoted as saying, "We must land a strong blow against Hamas. That's the only way to lower the level of violence to zero or close to zero." He said that Israel's response must be harsh "even at a price of moving to a wide-scale confrontation". 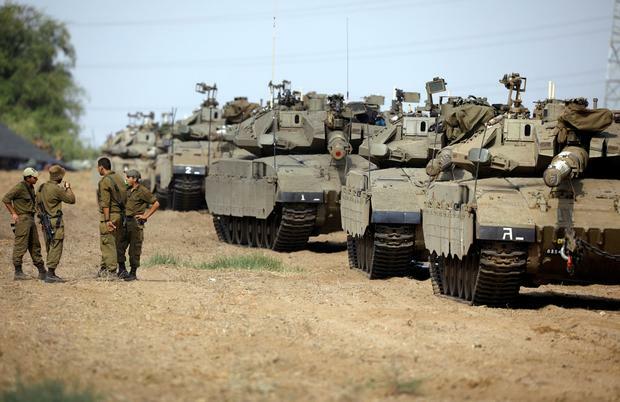 Israeli press reports at the end of this week are consistently warning that "Hamas and Israel are one step closer to all-out war" as Israeli tanks and troops continue to muster at the border. An Egyptian delegation is reportedly in contact with both sides and are trying to prevent a major conflict from erupting. One Palestinian official involved in talks with the Egyptians told Reuters, "The situation is delicate. No one wants a war." However, the official described Gaza as at a breaking point: "Palestinian factions are demanding an end to the Israeli blockade that strangled life and business in Gaza," he said. UN envoy Mladenov also confirmed before the UN that Gaza's economy is in free fall, with unemployment at a stunning 53% and 70% of Palestinian youth jobless (according to the World Bank), and further the coastal strip of 2 million people is under near total Israeli blockade. "Gaza is imploding. This is not hyperbole. This is not alarmism. It is a reality," Mladenov told the UN Security Council. "Barring substantial steps to reverse the current course, this precarious sense of calm is doomed to give way under the mounting pressure. It is already beginning to fray," he added. It appears tensions could explode into yet another round of war starting as early as this weekend. Given the threats of Israeli officials this week, it could slide into the bloodiest campaign in years.